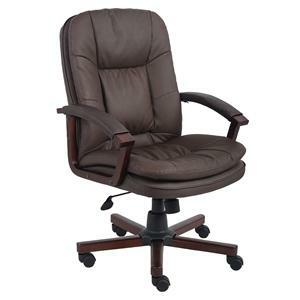 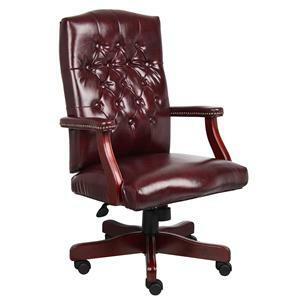 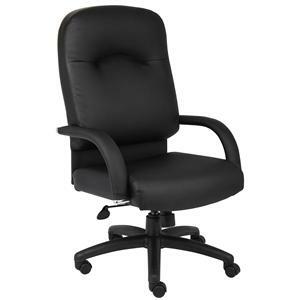 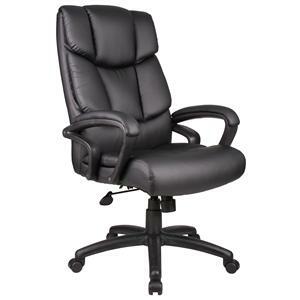 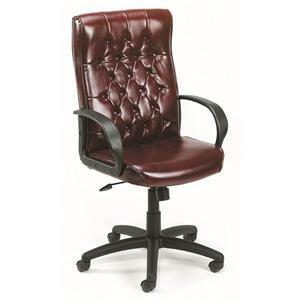 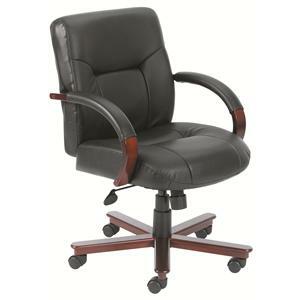 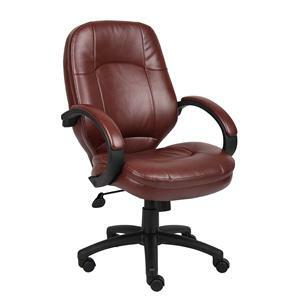 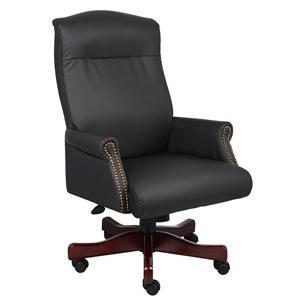 Select from Brown and Black upholstery when you purchase this LeatherPlus upholstered executive chair. 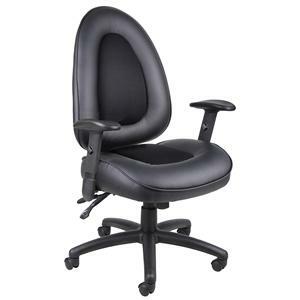 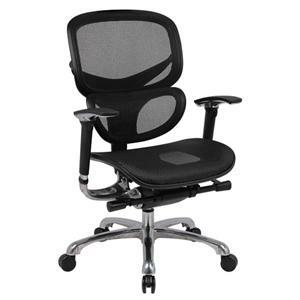 The chair features adjustable tilt tension control and pneumatic seat height adjustment for optimal lower back and leg support. 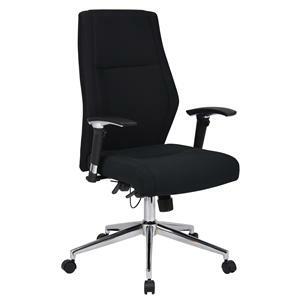 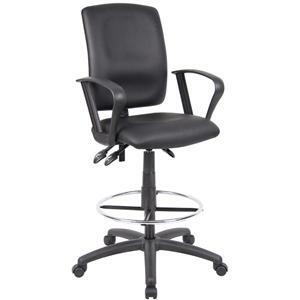 Chair base and arms are black nylon and feature hooded double wheel casters. 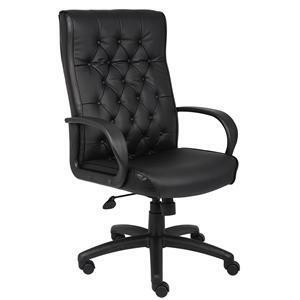 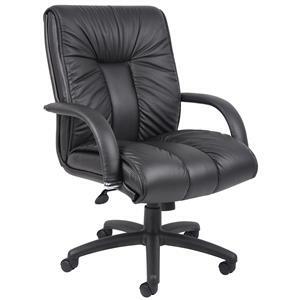 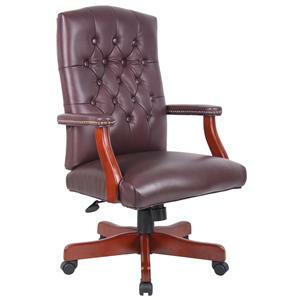 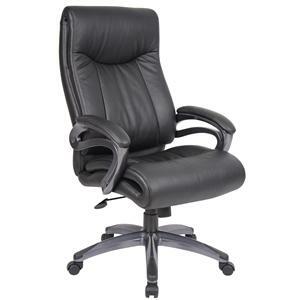 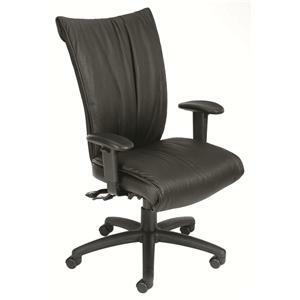 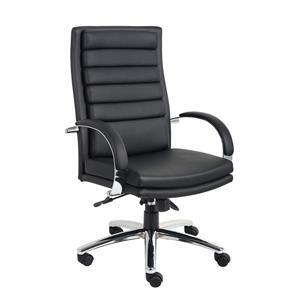 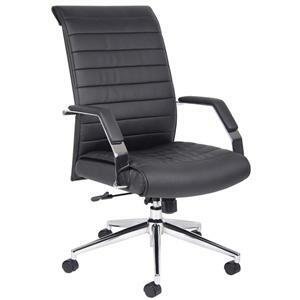 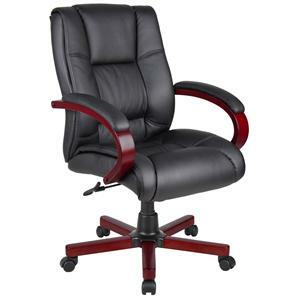 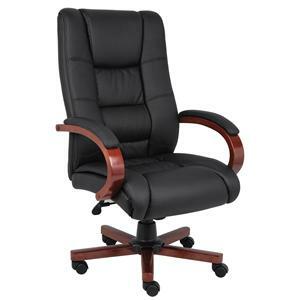 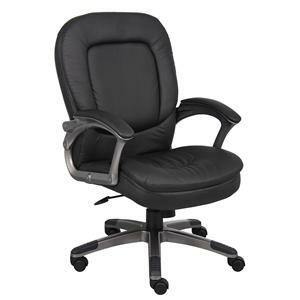 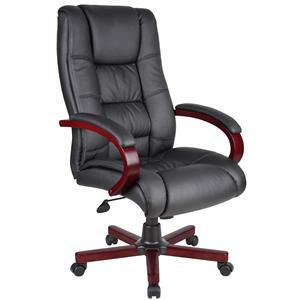 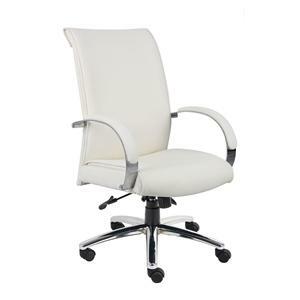 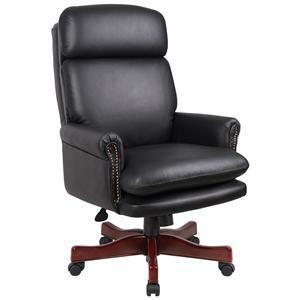 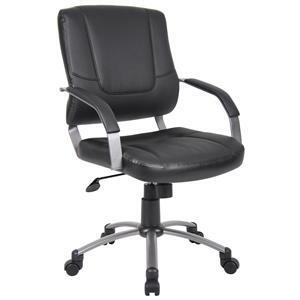 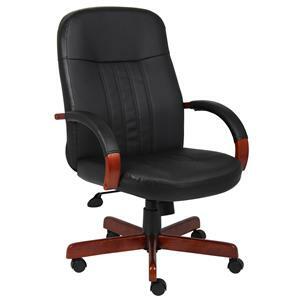 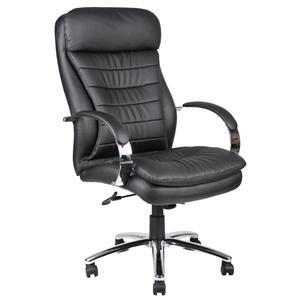 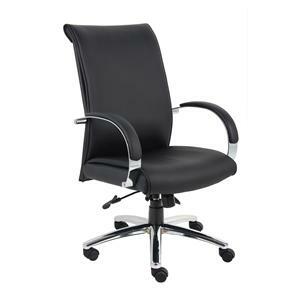 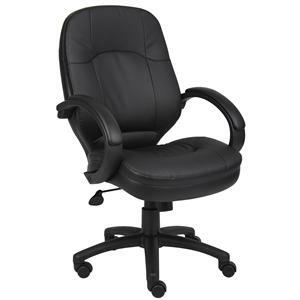 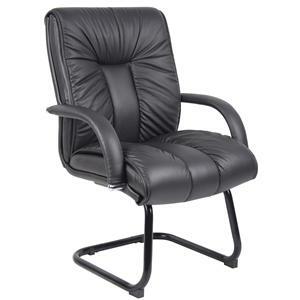 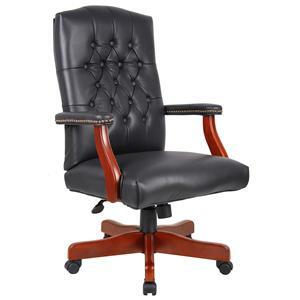 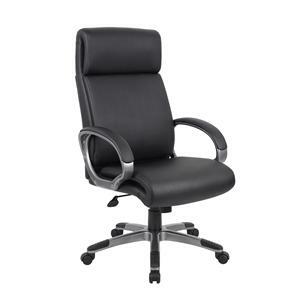 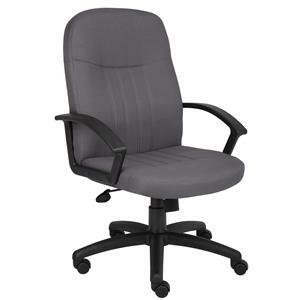 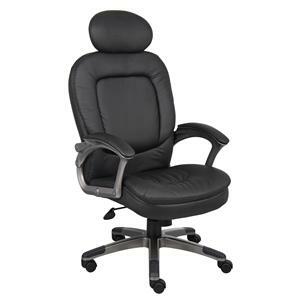 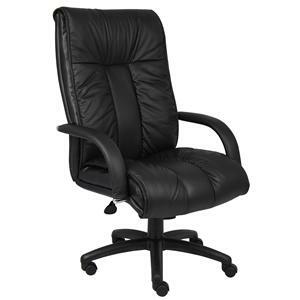 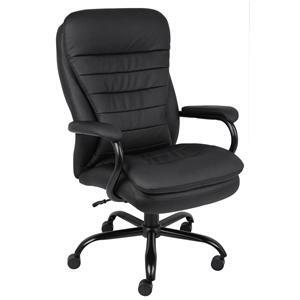 The Executive Chairs LeatherPlus Upholstered Executive Chair on Casters by Presidential Seating is available in the area from FMG - Local Home Furnishing. 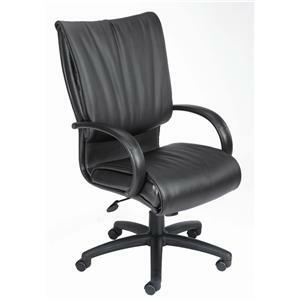 Fabric Content Black or Brown LeatherPlus upholstery.